Some of the adult events were made possible by a grant from the Minnie Stevens Piper Foundation. 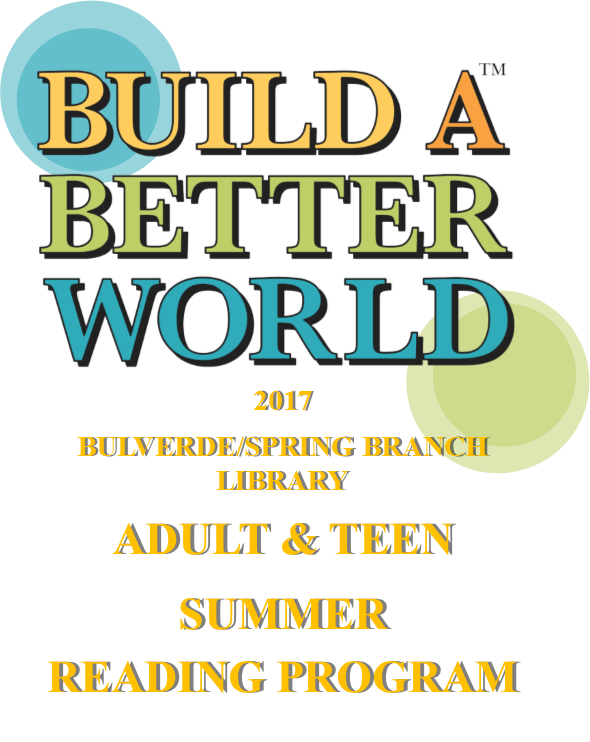 Adults (18+) read books, write reviews, and attend program events to receive entries for weekly prizes! 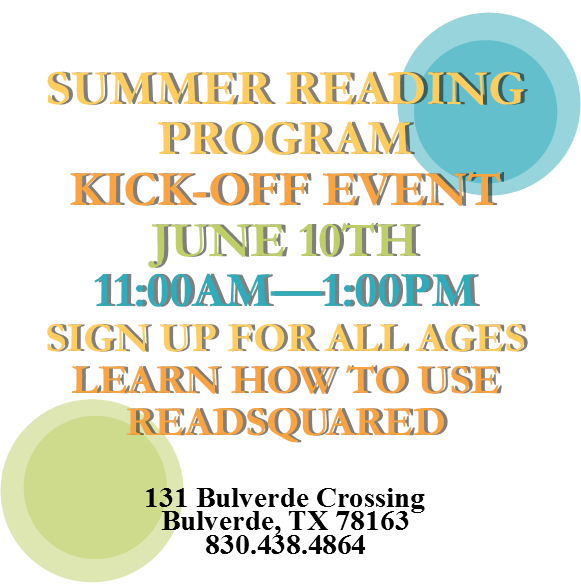 On June 10th or after, participants will register accounts through ReadSquared, a website that tracks progress, gives virtual badges at milestones, and more. 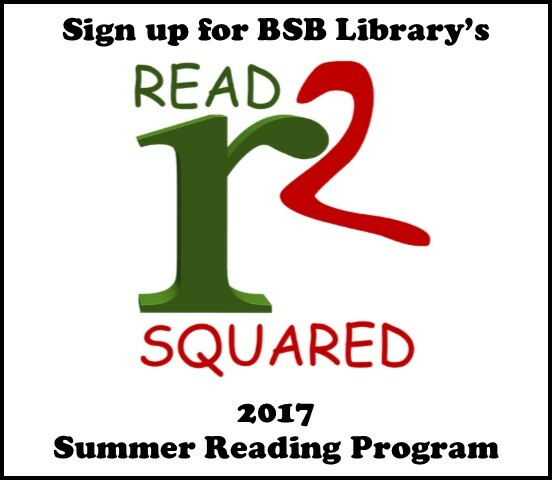 For more information on ReadSquared or how the Summer Reading Program works, attend the Kick-Off event scheduled for June 10th or visit the Library’s website at bsblibrary.org! gardens that you can plant which follow the principles of permaculture. We will also introduce the basics of Hygge, a feeling of completeness or coziness that is based in Danish culture. Enjoy a craft that will bring the feeling of Hygge to you and have refreshments. Please register for a supply and refreshment count. Come donate blood for a good cause to help those who can't help themselves. Sign up for a time that is convenient for you. Sign up at the circulation desk or by calling 830.438.4864. Time slots are in 1/2 hour increments. Everyone loves George Burns! Join Broadway and film actor Duffy Hudson as he takes you on a stroll along nostalgia lane. George Burns sings, dances and tells stories like only George Burns can. This 75 minute, one-man, musical, comedy performance of our beloved George Burns is sure to delight the entire family!!! No registration required. Humorist and folklorist Donna Ingham takes the ancient art of storytelling and gives it a Texas twist to entertain audiences of all ages. Hear tall tales, folklore, historical and personal stories told.